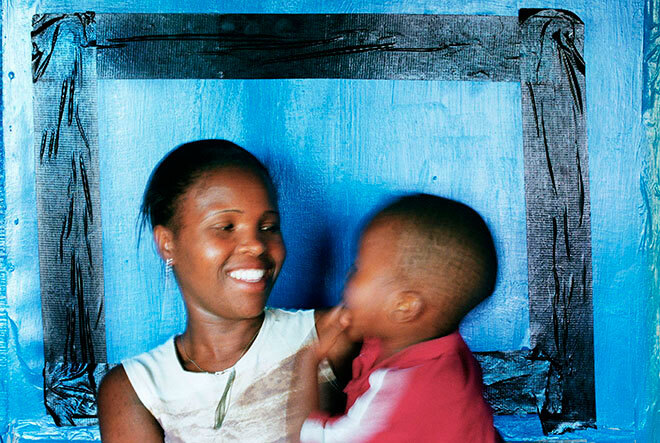 Thendeka Mantshi discovered that she was HIV-positive when her baby was diagnosed at birth. She was a witness in a court case in which Treatment Access Campaign challenged the pharmacutical companies. “It is very painful for me to see my child suffering from the same illness like mine, and I think that if the MTCT (mother to child transmission) prevention programme had been implemented my baby wouldn’t be HIV-positive. It pains me to see people suffering, and some die because they can’t afford treatment. Most people who are living with AIDS are unemployed. We can’t even buy something to eat, so how can we pay for expensive treatments?” from Thendeka’s affadavit. 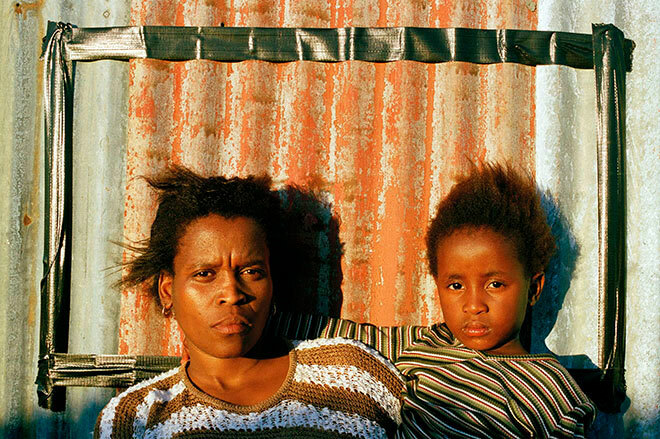 This project was born out of the intense struggle for treatment access that took place in South Africa in the early 2000s. Until this point I had been a concerned photojournalist, working in black and white. However, with this project I became a visual activist, keen to create images that might impact the struggle more directly. I began to work in colour, to make images that were more accessible and positive. Together with the Treatment Action Campaign, I developed a visual installation at the National Gallery in Cape Town. 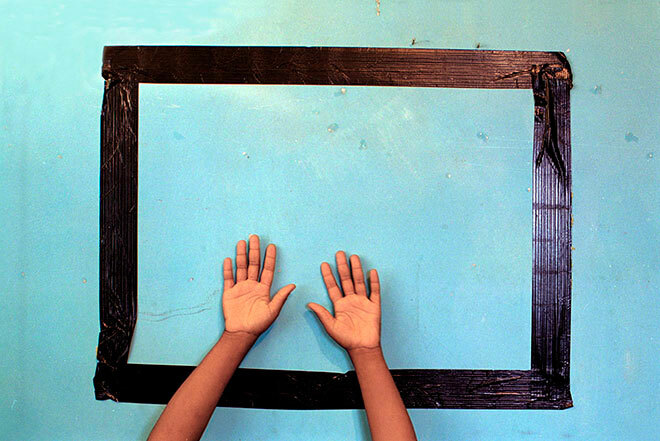 Central to the installation was this “frame series”: an improvised frame, made from black tape on a wall, which had become a conceptual tool for engagement with these issues. 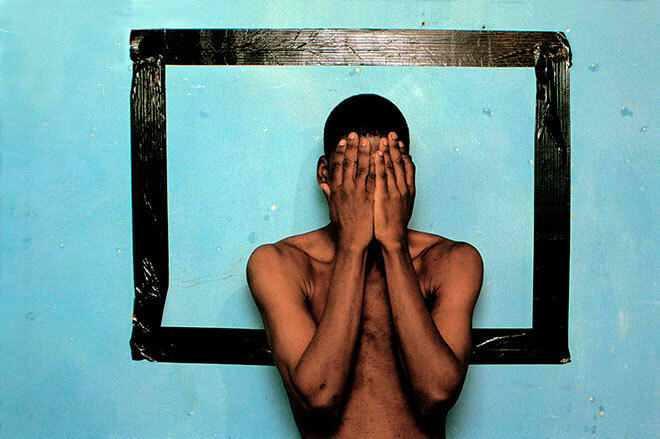 The inside of the frame provided a space through which subjects could make their own statements about HIV/AIDS, through their gesture or gaze. Some strongly wanted to challenge stigma and show their faces, while others did not wish to be identified and instead used objects or parts of their bodies to express themselves. In each case, their words formed a crucial element of the piece. This process of relinquishing some of my own control over the photograph empowered the HIV-positive activists who filled the frames, and they became collaborators in the process. This body of work was made into a 13-poster series, Treatment Access which was widely distributed and used by organisations to raise awareness about the issues surrounding HIV. The whole set can be downloaded from . Some of the images displayed in this collection were made in Mozambique, where I first developed this approach. 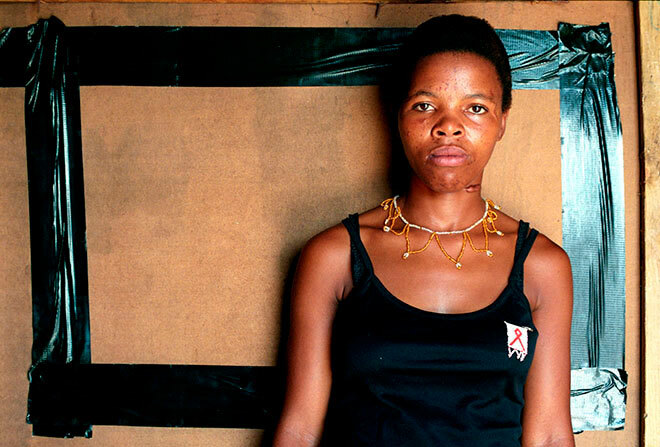 Pumla Dladla discovered that she was HIV-positive in 1997 when her child was diagnosed with the disease. She receives antiretroviral drugs from a treatment programme run by Medecins Sans Frontiers. 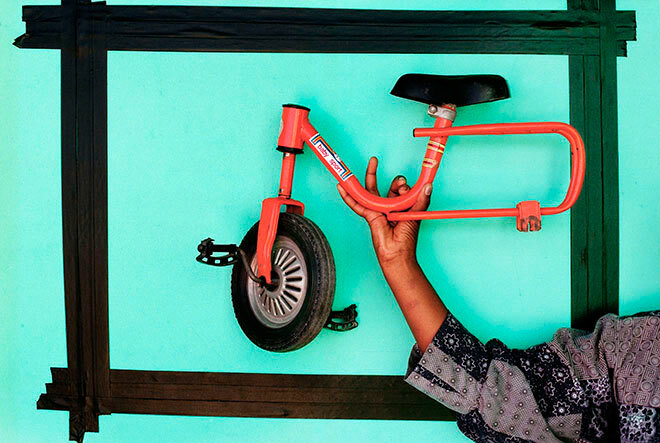 Anonymous (bike) discovered that she was HIV-positive in 2001 when she attended a maternity clinic and was offered an HIV test as part of their mother to child transmission (MTCT) prevention programme. 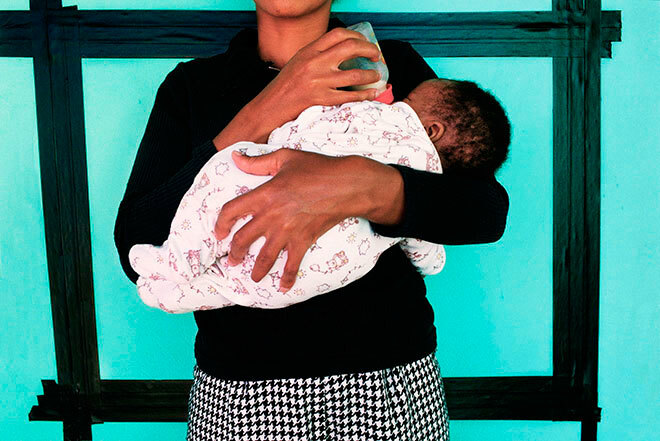 Anonymous (baby) discovered that she is HIV-positive while she was pregnant, during routine testing that was offered to pregnant mothers at a local health clinic. She chose to show her baby in the picture who had just tested negative. 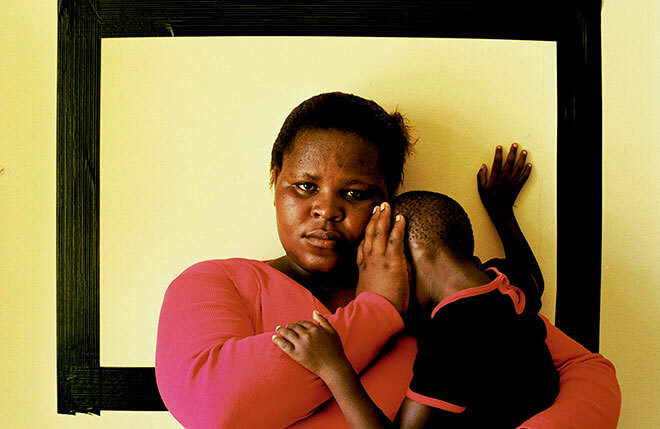 Nomandla Yako discovered that she was HIV-positive in 1999 when her child, Thamsanqua, became very ill. Anonymous (covering face) is a university student at Maputo University. Due to the extreme stigma associated with his status, he chose to not include any of his clothes in the photograph in case they might identify him. Anonymous (medication) discovered that she was HIV-positive in 1997 when her first child became ill and died from AIDS. She receives the antiretroviral drugs that keep her healthy from a treatment programme run by Medecins Sans Frontiers. 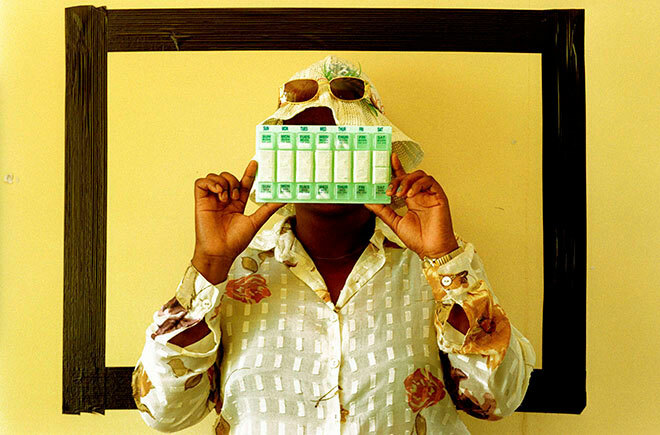 She chose to show the daily medication container, which helps her to take her drugs. 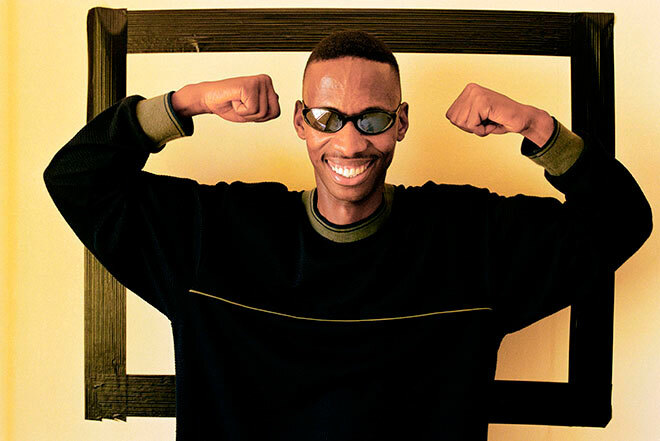 Lwazi Pento Nontyi discovered that he was HIV-positive in 2001. Phumza Nomnkonko discovered that she was HIV-positive in 1999. 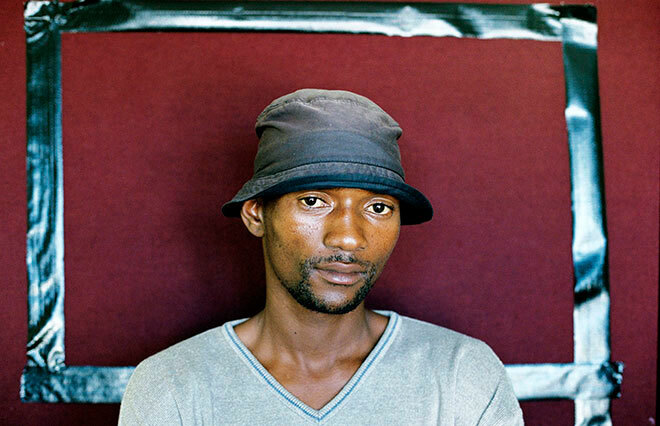 Ncapai Thobani discovered that he was HIV-positive in 1997 after a long series of illnesses.